Weddings are a very special occasion in the lives of a couple who plan to spend the rest of their lives together. Capturing those special moments are essential to the bride and groom as those photos you create serve as a large memory of that special day. If you are a wedding photographer and are bound to your Canon, it is essential to have the best lenses to capture that perfect shot. Canon has created the best lenses offering high quality imagery allowing you to capture the most precious memories at any wedding. The best lenses all offer exceptional photo quality, excellent color and contrast, and the sharpness of the photos will amaze you. There are a few things to consider when looking for the best Canon lenses. Canon devices are all professional and produce amazing results that can be clearly seen through the photos you have captured. First of all, these lenses need to be able to take photos of your guests who are dancing their hearts out and the children who are full of energy and running around the reception venue (and even sometimes the ceremony). It`s difficult to take photos of moving people but it`s important that the best lenses offer versatility so you can take photos of moving people and still photos that will both be as equally sharp and brilliant. If you`re a professional photographer, it`s up to you to choose the best lenses that meet your own specific needs. Remember, not only are you living your passion but you are doing a job for a client (the bride and groom) so investing a little more into the lenses you use is only going to enhance your experiences even though it may seem to put a significant dent in your wallet. The good thing is, Canon lenses are not as expensive as they once were. You can purchase a Canon lens at an extremely affordable price and still produce the most amazing quality photos. With that being said, make sure you do your research before investing in just any Canon lens. To help you with this research, here is an overview of the 7 best Canon lenses for wedding photography. 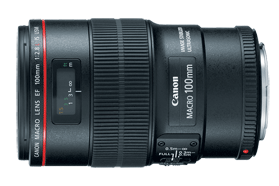 This Canon lens is the best lens for zooming in close to your subjects. You can capture hundreds of people at the same time with this lens and it`s ideal for video creation as well. 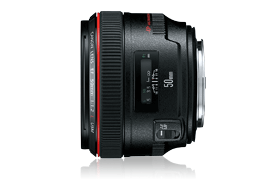 This Canon lens is considered to be accurate, sharp, fast and it`s silent when you use both manual and automatic focus. This lens is recommended for use when trying to capture panoramic angles. It is not an ideal lens for narrow angle but it can still be used for that purpose. The quality of photos captured with this lens is outstanding as it provides clear, sharp photos with amazing color and contrast. 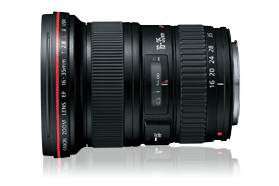 This Canon lens is perfect for portrait photography and taking photos of entire groups. This lens creates perfect bokeh and can be used in both high quality natural light situations outdoors and moderate to low light situations indoors. This lightweight lens is extremely versatile as it can be used in many different lighting situations although it works best in low light situations. When you have unwanted people or items in the background of a photo, you can easily create this amazing bokeh effect that will blur any unwanted additions out of your photos. When you need a fixed focal length, this Canon lens can definitely do that job. 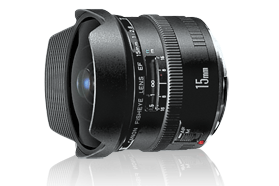 This is considered to be a very sharp lens which is extremely ideal for portraits. 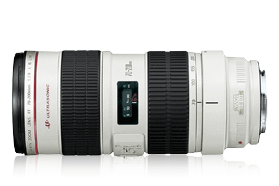 You have the ability to increase focal length with this lens to produce optimal long range photographs. This lens is perfect to have in your camera bag if you are an “unwanted intruder” during a church ceremony or even an outdoor ceremony and it was requested that you stay further back and not right on top of the bride and groom during their exchange of nuptials. This Canon lens is as versatile as they come; it can be used for portrait photography, wedding photography, landscape photography, and every other area of photography you can think of. The lens itself is very solid and somewhat on the heavy side but it is extremely durable and has an astoundingly long use life. In terms of wedding photography, this may just be the go-to lens as you can take any type of photo with just this one lens: simple portraits, large groups or large venue settings, and that first dance in a low-light setting just to name a few. This lens will never steer you wrong and it captures extremely sharp, clear photos that show off the amazing colors and contrast of the subjects of your photo. This lens is a must-have lens to add to your Canon equipment. It is great to take those detailed shots such as the bride’s bouquet, details on her dress or shoes, the jewelry she is wearing, details on the wedding cake, the bride and groom’s rings, and any other small details that you feel obliged to photograph for your couple. This is a macro lens and taking those detailed shots with this lens is a must. You can’t achieve this with most other Canon lenses and with the rise in photojournalistic wedding photos and the demise of traditional portraits, those detail shots can be the money makers. This is a must-have if you want to achieve sharp, clear detailed images. 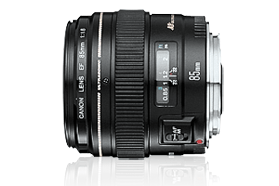 This Canon lens is considered to be expensive but it`s worth every penny. Even though this lens typically runs about $2, 000, it is well worth it. 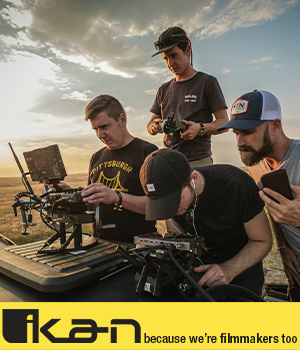 Its capacity for sophisticated image stabilization alone is worth it. This lens is also a versatile lens and is much heavier than other lenses. It has a long zoom focus allowing you to create and capture all types of wedding photos and with its number one feature, image stabilization, you can rest assured that every image captured with this lens shows no signs of a shaky hand or movement. 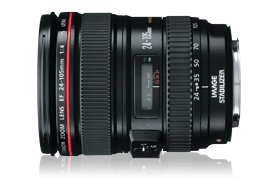 This Canon lens is considered to be super sharp and it`s the perfect lens for a camera with full frame. This type of lens is expected to provide excellent, high quality images as one would believe that the image quality in the corners would be low, but it actually isn`t! This lens is so versatile that many photographers who choose the Canon cameras and lenses use this lens for a variety of different purposes other than wedding photography. It can be used for taking both outdoor and indoor wedding photos and produces an amazing “fisheye” effect making the image appear as if you were looking through a bubble. This is another macro lens that should not be skipped over when choosing the best lenses to add to your camera bag.